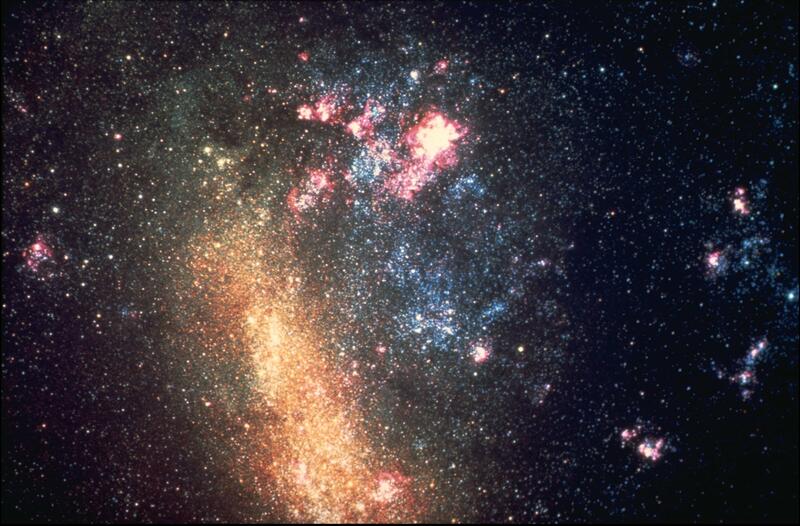 Explanation: The brightest galaxy visible from our own Milky Way Galaxy is the Large Magellanic Cloud (LMC). 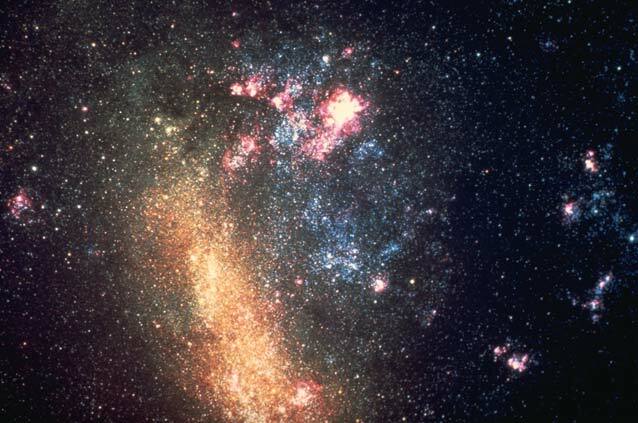 Visible predominantly from Earth's Southern Hemisphere, the LMC is the second closest galaxy, neighbor to the Small Magellanic Cloud, and one of eleven known dwarf galaxies that orbit our Milky Way Galaxy. The LMC is an irregular galaxy composed of a bar of older red stars, clouds of younger blue stars, and a bright red star forming region visible near the top of the above image called the Tarantula Nebula. The brightest supernova of modern times, SN1987A, occurred in the LMC.